Property developer David Abrahams says he gave more than £650,000 to the Labour Party using associates' names because of a desire for privacy. He originally told the BBC he had "gifted funds to my friends and colleagues" so they could make donations on his behalf because he was a "very private person who did not seek publicity". But he has found himself firmly in the spotlight - at the heart of the "donorgate" row which has forced Gordon Brown to start an internal inquiry into his party's funding - and prompted the Electoral Commission to call in the police. And he has proved willing to do several interviews to put forward his side of the story - saying people had been "briefing against him" and taking issue with the way events have been portrayed. One account of events he disputes is that of Gordon Brown's chief fundraiser Jon Mendelsohn - one of two party officials who admit knowing about the disguised donations. 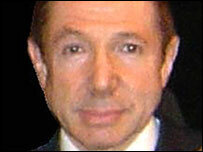 Mr Mendelsohn has said he only found out about it in September and was determined to put a stop to it. Mr Abrahams says he told Mr Mendelsohn of his funding arrangements at a dinner in April and was told "that sounds like a good idea" - Mr Mendelsohn says this is "fictional". The two men have a "personal history of past disagreements", according to Mr Mendelsohn. That appears to go back five years, to when Mr Abrahams was a member of the influential lobby group, Labour Friends of Israel. 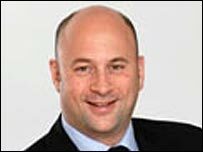 The BBC has been told that he was expelled from the group by Mr Mendelsohn - in circumstances that no-one will talk about on the record. But earlier in the week Mr Mendelsohn was dragged into the spotlight over the donations when Mr Abrahams rang BBC's Newsnight and read out a letter from him, describing Mr Abrahams as "one of the (Labour) party's strongest supporters". Until then it had been suggested that just one senior Labour figure knew about Mr Abrahams's secret (and potentially unlawful) donations - general secretary Peter Watt, who has already resigned. The image of a shy and retiring philanthropist, which Mr Abrahams - and the Labour Party - appear keen to promote, has been publicly challenged by former Fabian activist and journalist Stephen Pollard who describes him as "the pushiest person (I) ever came across" at Fabian meetings in the early 1990s. He writes: "He would ring up the office asking about meetings and contacts. At those meetings he would make a bee-line for the most senior politicians in the room. "He was, in short, keen to be noticed." Another Labour MP describes Mr Abrahams as "always around". "He was the kind of person you sometimes see at conferences and such - hanging about and wanting to shake hands with everyone. But no-one quite knew why he was there." Mr Abrahams also appears to have sought the attention of politicians in his native North East, where members of the Sedgefield Labour Party - in Tony Blair's constituency - remember him as a "hanger-on". Last June Mr Abrahams was in the front row of the Trimdon Labour Club to watch Mr Blair make his farewell speech. Mr Abrahams inherited his strong Labour loyalties - he served as a Labour councillor in Tyne and Wear - from his father, the late Bennie Abrahams, former Lord Mayor of Newcastle. A "larger than life" character, his father apparently insisted his son use another name - David Martin - for business activities because, says David Abrahams, he wanted his success to be "independent of the family name". That business is property, and property development. Mr Abrahams is director of six property companies in Newcastle, which have earned him enough money to afford a home in a leafy Newcastle suburb, Gosforth, as well as a flat in the exclusive St John's Wood area in North London. One deal that one of his companies made has recently come under press scrutiny. 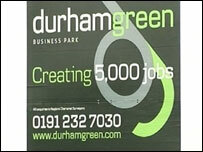 In July 2005, Durham Green Developments, submitted plans for a business park next to junction 61 of the A1. Two directors of the company - Ray Ruddick and Janet Kidd - had already given £77,000 of Mr Abrahams money to Labour nationally. In October 2005 the Highways Agency blocked the project - a year later, the agency lifted its objections. There is no suggestion that any donations made by Mr Abrahams influenced in any way the decision of the Highways Agency to change its mind. He has said he sought no benefit or reward for his donations and received none. Press reports have painted Mr Abrahams as a colourful figure: some reports give his date of birth as 1954 - others that he was born in Newcastle in 1944. In 1991, his deselection as a parliamentary candidate for Labour in Richmond, North Yorkshire, hit the headlines in local newspapers. There were claims - which he denied - that Mr Abrahams had presented himself as a married man with a young son when he was actually single. Following the ensuing row, eight local Labour Party officials resigned en masse. Out-going party chairman Steve Hoyland said: "We believe that David Abrahams is totally unsuitable to be the prospective Parliamentary candidate for this constituency and have no confidence whatsoever in him." Mr Abrahams says he has been a loyal Labour Party member since he was 15. He says he had no idea he was doing anything wrong in making anonymous donations. Since the story broke he says he has received calls from well-wishers within the party who are grateful for his donations. "Some, on the other hand, are running for cover or briefing against me. It is as if I have not donated to the Labour Party but rather stolen from it," he added.